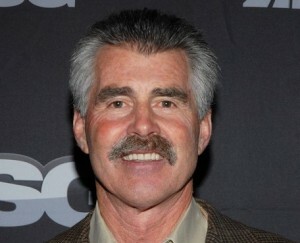 Former MLB star Bill Buckner helped kick off the Third Annual First Pitch Banquet that happened on February 3rd at the Piper Glen Golf Course in Chatnam by participating as a keynote speaker. Buckner got a chance to tell the audience about the exciting times he had as a professional athlete, as well as discuss many of the obstacles he faced. In addition to that, the 1981 All-Star player offered to give advice and tips to aspiring baseball players who were in attendance at the event. Buckner also took the time to talk about the relationship he has with Prairie Star head coach Chris Ramirez, who emphasized how important it is for their current players to have all the up to date equipment needed to play baseball in their league. The event organizers were thrilled that Buckner was willing to come out for the banquet and he surely helped it be an even bigger success than it would have been without him. The Vallejo, California native was a well-known talented athlete during his high school years in both baseball and football. He briefly attended Arizona State University and the University of Southern California before entering the 1990 MLB Draft where he was selected by the Los Angeles Dodgers. He stayed with the team for seven years before switching to the Chicago Cubs in 1976. Over the course of his professional career, Buckner got to play for several MLB teams such as the Boston Red Sox, California Angels, and Kansas City Royals before heading back to Boston for a final year preceding his retirement in 1990;. Buckner joined the group at the Third Annual First Pitch Banquet that happened earlier this month and helped it to be a huge success. If your company is interested in finding out availability and booking fees for a former professional baseball player like Bill Buckner or other sports celebrities for a Keynote Speech, Charity Event, Guest Appearance, or Baseball Camp, call us at 1-888-246-7141.